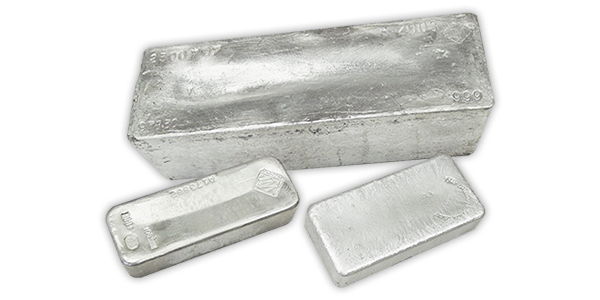 A traditional way of investing in silver is by buying bullion bars. The flat, rectangular shape of silver bars makes them ideal for storage in home safes, safe deposits at a bank, or storage is available to our customer's in allocated storage with Delaware Depoitory. 1000 oz troy bars – These bars weigh about 68 lbs. (31 kg) and vary about 10% as to weight, as bars range from 900 ozt to about 1,100 ozt (28 to 34 kg). These are Comex and LBMA good delivery bars. 100 oz troy bars – These bars weigh 6.8 pounds (3.11 kg) and are among the most popular with retail investors. Most common hallmarked bars are Englehard and Johnson Matthey (JM). Buying silver coins is the most popular method of physically holding silver. 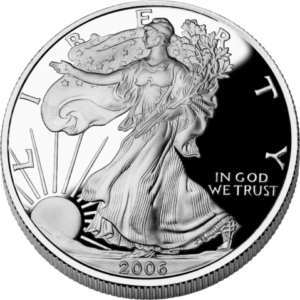 Other examples are the one ounce 99.99% pure Canadian Maple Leaf and the one ounce 99.9% pure American Silver Eagle. Silver coins may be also be bought as either fine silver or junk silver bags, the latter being older coins with a smaller percentage of silver. U.S. coins 1964 and older half dollars, quarters and half dollars are 25 grams per dollar of face value and 90% silver (22½ g silver per dollar) and contain approximately 715 ounces of pure silver per $1,000.00 face value. All 1965-1970 Kennedy half dollars, quarters and dimes are considered "clad" in a silver alloy and contain just under one half of the silver in the pre-1965 issues or 357.5 ounces per $1,000.00 face value. Silver enthusiasts use .999 fine silver as a store of value. Call (877) 703-2193. We will answer any questions you may have.